ELKAP - Rural Electrification in the D.R.C. 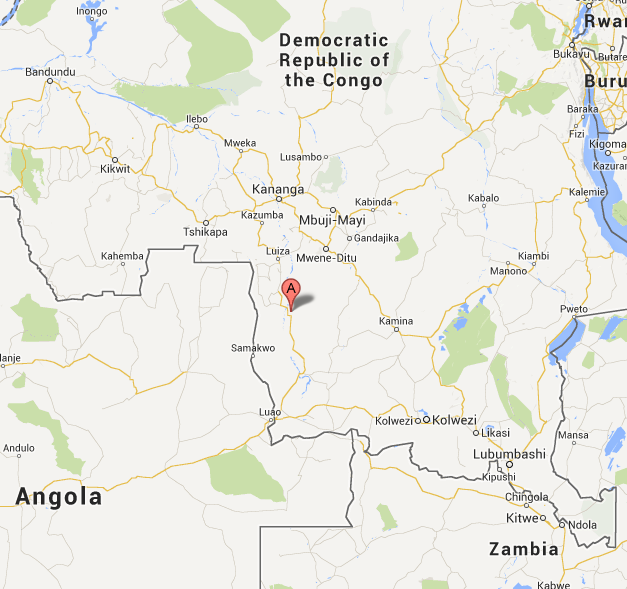 to the rural territory of Kapanga in the Katanga province. ELKAP supplies power to 15 institutions of public interest and 300 commercial and domestic end users. 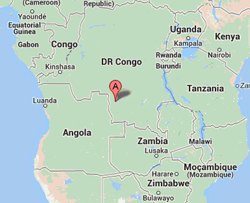 In this way, ELKAP changes the life of the population of Musumba, Ntita and Kapanga. public administration, public services, and the civil society to achieve the common goal. to reduce maternal mortality by improving the conditions of the hospitals. 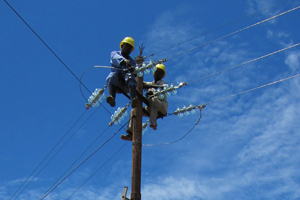 Rural electrification offers better chances to these active and inventive children. who got additional ELKAP training. This creation of jobs gives 200 families a source of income. The Salvatorian Father Jaak Henkens, originator of ELKAP and Jean-Michel Dumond, Ambassador of the EU in the D.R.C. 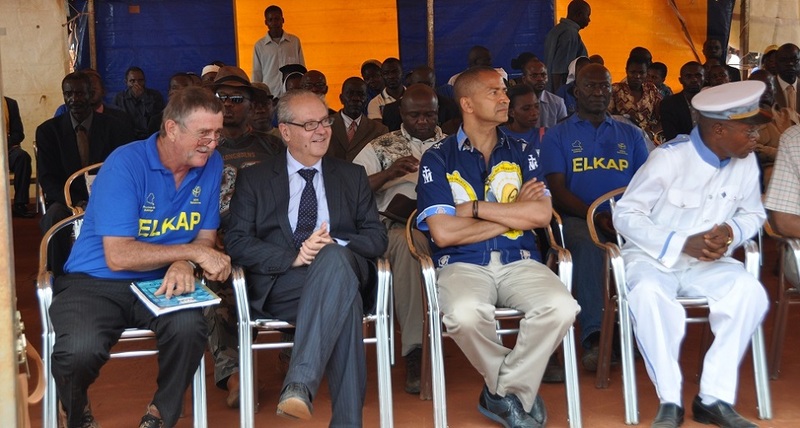 together with the Governor of the Province of Katanga, Mr. Moise Katumbi, at the opening ceremony in Kapanga. 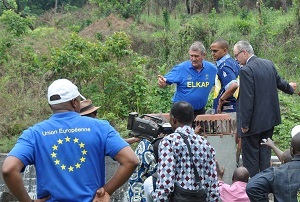 ELKAP stands for ELECTRICITE POUR KAPANGA, a rural electrification programme launched by the Salvatorians in the Territory of Kapanga in the Democratic Republic of Congo (D.R.C.). Now that it is completed, ELKAP provides more than 45,000 people, half of them children, with access to electricity and helps them improve their life. 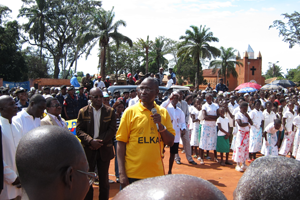 SOFIA (Salvatorian Office for International Aid) has promoted this project which was co-financed by the European Commission, by the Katanga Province, and by the Salvatorian Fathers. ELKAP has been inaugurated in September 2015. Click here to read the press release, and here to view some pictures of the opening ceremony. The European Commission is the main financial partner, with an important subsidy coming from its thematic programme for Environment (ENRTP). 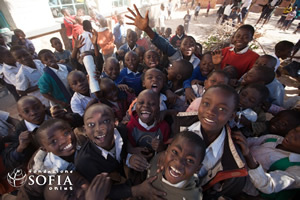 SOFIA – Salvatorian Office for International Aid has developed the programme and is coordinating its implementation. 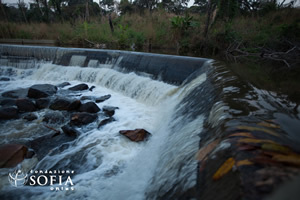 The Katanga Province’s contribution consists in political support of the programme as well as investments to improve infrastructure.